Gentle Skincare with Natural Ingredients. 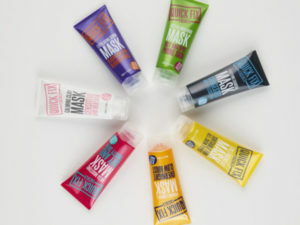 GOOD THINGS facial skincare has been developed with the endorsement of beauty writer Alice Hart-Davis. Using superfruit beauty boosters and natural ingredients from the bee hive in super-effective formulations, this range will make you look and feel fantastic whatever your age. 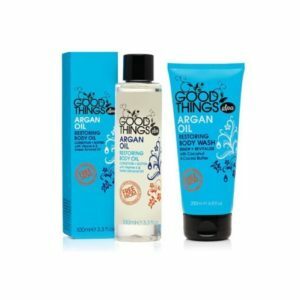 Free from parabens, mineral oils, sulphates, animal ingredients: just GOOD THINGS! Want to find out more? Experience Good Things for yourself at www.goodthingsbeauty.com. 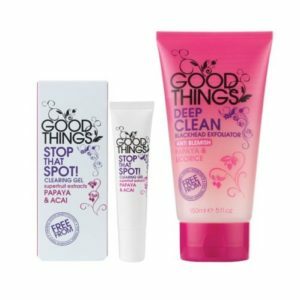 Specially designed to keep younger skin clear and fresh, the GOOD THINGS SUPERFRUITS range uses a variety of superfruit beauty boosters in gentle, super-effective formulations. Combining natural ingredients from the bee hive, the GOOD THINGS MANUKA HONEY range has been specially designed to help keep skin clear and hydrated while tackling the problems that can lead to skin ageing. Specially designed to make the most of young skin, the GOOD THINGS PORE-FECTLY CLEAR range combines active Charcoal with Caffeine to draw out impurities for deeply cleansed, clearer looking skin. Combining anti-oxidant-rich Argan Oil with intensely nourishing and moisturising ingredients, the GOOD THINGS ARGAN OIL range has been expertly developed to help target and treat signs of ageing. Want to learn more about Good Things? Get in contact with a member of our sales team.